On November 6th Animal Treats closed out the Top Hat’s monthly EDM showcase, The Mad Hat. 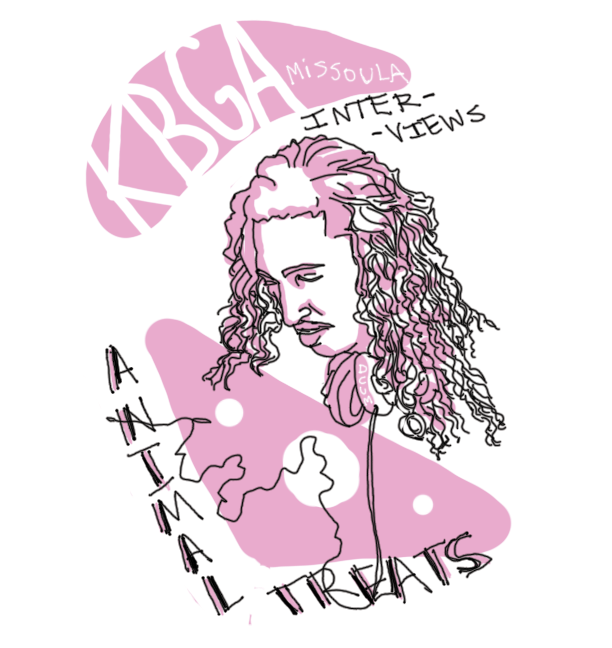 KBGA’s Natalie Schmidt sat down with the 26 year old DJ, Nico Rosario on the day of the show to talk about his journey as an artist and what he brings to Missoula. Nico Rosario moved from Kallispell to Missoula just over a year ago, and ever since then he’s been working hard to develop his sound and bring new things to the local EDM community. When asked what sets his music apart, he mentions his low-fi sound, layered vocals and heavy bass. This was Animal Treats’ first time playing the Top Hat and possibly their biggest show to date, according to Nico. It’s the start of more to come, as he plans on working with more producers and venues to bring his fresh sound across Montana and beyond, his eyes set on the festival circuit. Natalie Schmidt is DJ Short, you can check out her morning show Cups on Tuesdays from 9AM-7AM to listen to interviews before they hit the website.